With over 6 years of experience in the market, Joseph has acquired vital skills in Trade Marketing, Key account Management & Logistics. He is a highly motivated outgoing person who never limits his ability for improvement. Joseph started his career in the electronics industry in parallel of pursuing his bachelor’s degree in Business Administration. Prior to joining Tamayyaz, he excelled in contributing great success for his previous companies. By dealing with top key accounts, implementing rich key strategies, developing trusted relationships with new clients and meticulously handling existing ones, Joseph’s resilient efforts led him to manage the key accounts of one of the biggest FMCG distributors in the Middle East. Joseph believes in investment in quality, he holds certifications in “Managing Social & Human Capital”, from the University of Chicago, and “Successful Negotiation Skills”, from the University of Michigan, as well as certifications in “General Management & Retailing”, “Sales Strategies: Entrepreneurship”, and “Sales Strategies: Mastering Sale’s Process”, from Coursera Course. He has also attended workshops in “Key Account Management” and “Communication, Effective Reporting, Time Management and Sales Skills”. 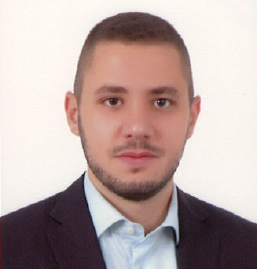 Mid 2018, Joseph joined Tamayyaz as the Key Account Manager under the EIG-L division. Despite his 180 degrees shift from FMCG towards consultancy, he quickly and gracefully adapted. Besides his profession – Joseph had been collecting pieces of his central qualities from different and dynamic experiences. The duo of being a Cub Scout’s leader for Gilwell Scouts, and a team member for numerous sports teams, he acquired the ability to be a team player when needed, and a leader in difficult situations. © Copyright 2018 Tamayyaz. All Rights Reserved.